Three awesome events happening today and tonight! 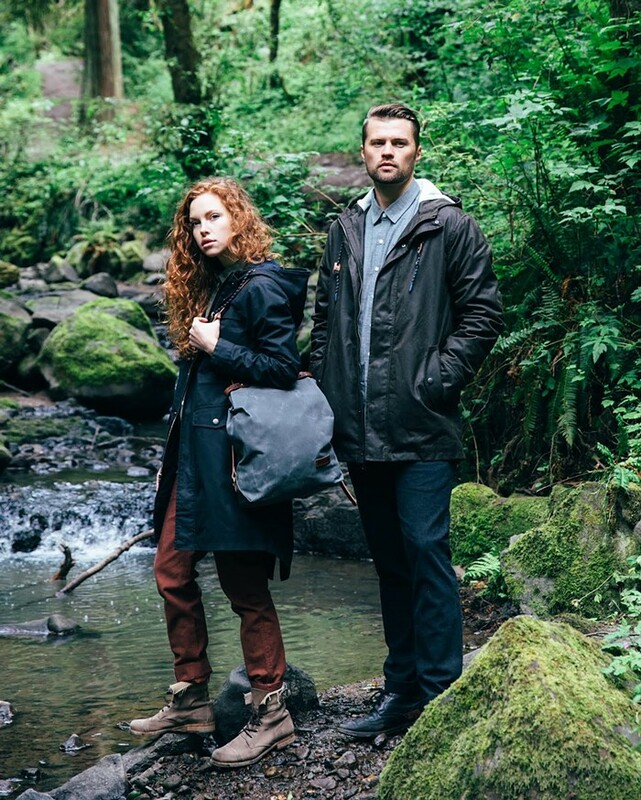 Bridge & Burn will celebrate the launch of their Fall 2017 line with a party at their downtown flagship location. Highlights from the newest collection include Outsider Edition waxed cotton jackets, their first series of wool sweaters for men and women, shirting featuring exclusive textiles that were designed in house, and more. Complimentary beverages will be supplied by BridgePort Brewery. A perfect event to stock your wardrobe with some much needed Fall and Winter staples. Jane's Vanity will host a trunk show in a suite at Hotel DeLuxe for Zynni Cashmere, a line that "cusps everyday basics and statement pieces, in every weight of cashmere imaginable." The trunk show will have samples from the Autumn/Winter collection that will be available for delivery within 30 days of ordering, as well as samples from their Spring/Summer collection which recently debuted at New York Fashion Week. It will also have items from Jane Vanity's stock available to purchase and take home that day, including a variety of custom colors in the very popular pleated plisseé maxi skirt. And finally, anyone remember Solestruck? 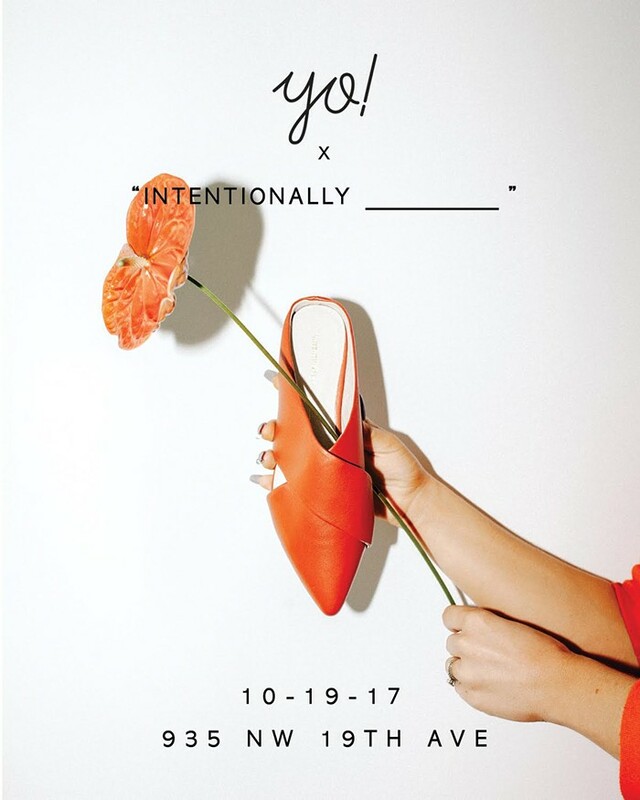 It died a very tragic death a couple of years ago, but one of the higher ups from that company (who also happened to work at Jeffrey Campbell) has started a new company called INTENTIONALLY _________, a men's and women's lifestyle shoe brand. They are doing a three month pop-up at The YO! Store and are kicking it off with a party tonight, where you can meet the Los Angeles based design team, including the brand's founder Ty McBride. This will no doubt be a fun event, and will bring back fond memories of those crazy parties Solestruck used to have.